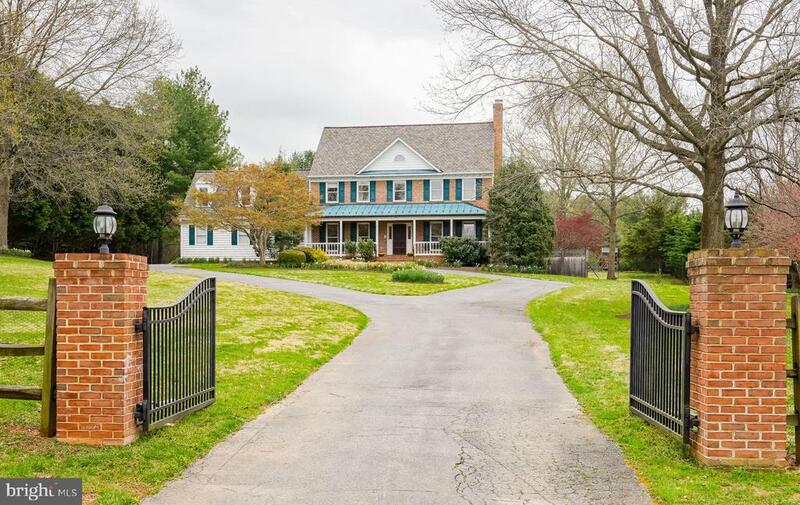 All North Potomac homes currently listed for sale in North Potomac as of 04/23/2019 are shown below. You can change the search criteria at any time by pressing the 'Change Search' button below. If you have any questions or you would like more information about any North Potomac homes for sale or other North Potomac real estate, please contact us and one of our knowledgeable North Potomac REALTORS® would be pleased to assist you. "New Price! Ready to Go! Spectacular Home In Belvedere! Too Many Custom Upgrades to List! SPECTACULAR CUSTOM BUILT OUTSIDE PATIO W/ KITCHEN, BUILT IN FIRE PIT, HOT TUB & PERGOLA! CHEF'S KIT W/ 8 BURNER STOVE, 2 DISHWASHERS & 3 OVENS! NEW GRANITE FLOORS IN FOYER! REFINISHED HDWD FLRS! FRESH PAINT! RENOVATED MASTER BA W/ LUXURIOUS WALK IN SHOWER & VANITIES! Cathedral Ceilings In Main Level Master BR! And SO Much More!!! Located on a two acre, flat and functional lot ready for your tennis court or pool! Huge formal and informal spaces with an amazingly flexible floorpan! Circular drive, huge parking pad and attached 3 car garage perfect for car collector, big events and playing basketball! This is an amazing opportunity to buy well below the cost to build a home like this!" 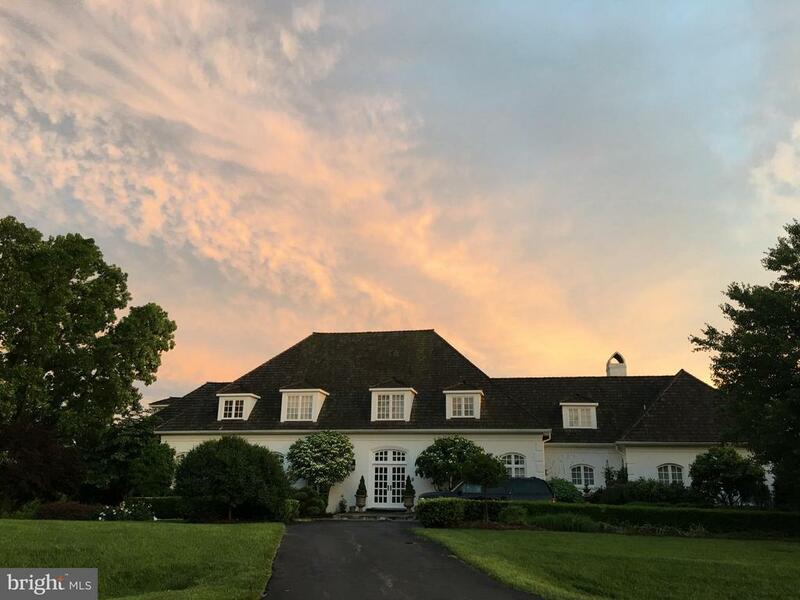 "This stunning French country style home provides a southern exposure with huge Palladian windows and French doors and an abundance of natural light. It sits in an idyllic, peaceful location at the end of cul-de-sac and backs onto state park land. It is a custom-built home with many unique features including a large stone fireplace in the breakfast room and a cherry wood fireplace surround in the great room. The home features vaulted ceilings in the foyer, great room and breakfast room and high ceilings throughout the main floor. The master bedroom adjoins a large sitting room with a fireplace and an outdoor balcony overlooking the backyard. It also has a formal living room, dining room and study on the main floor. The basement includes a game room, family room, second kitchen, bedroom, bathroom and several storage rooms and second laundry area. There is a beautiful bonus room over the three-car garage which could be used as a playroom, a computer room, or a reading, sewing or craft room. All the rooms are spacious and welcoming. Gorgeous sunsets are a common occurrence. Larger than taxable square footage (over 10,000 sq. ft.), see floor plan in virtual tour." "Bank ordered bankruptcy - short sale. UNBELIEVABLE OPPORTUNITY & PRICE - OFFERED FOR WELL UNDER VALUE - DON'T MISS!! 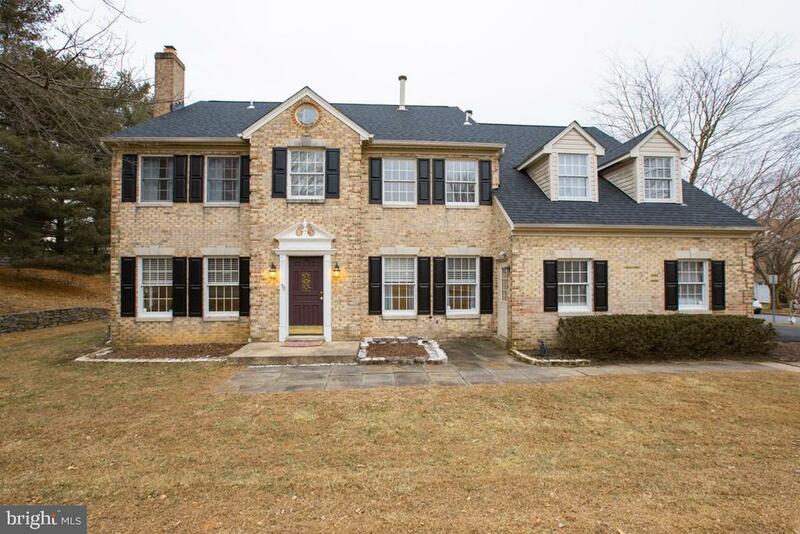 Extravagant 7 Bedroom ALL BRICK Estate Home on Private 2.3 Acre Lot in North Potomac. The Spectacular Chef's Kitchen is Built for Entertaining with 3 Wall Ovens, 3 Dishwashers, 2 Refrigerators, High End Granite Countertops & Designer Backsplash. The Gourmet Kitchen opens to Enormous Family Room w/Stone Mantle Fireplace and Huge Wrap Around Deck. This Elegant Home Boasts High-end Finishes Throughout and offers 7 Fireplaces, Spacious Rooms w/High Ceilings, Oversized Windows, Crown Molding, Recessed Lighting & Hardwood Floors. 2 Spacious Master Suites each featuring a Fireplaces & Spa-like Master Bath with Dual Vanities, Glass Door Shower & Jetted Soaking Tub. Totally Renovated, Fully Finished Walk-out Lower Level w/ Rec Room, Full Bar, Theater, Sauna, Exercise Room & Additional Bedroom and 2 Full Baths. Attached 4 Car Garage, Extra Long Paver Driveway. 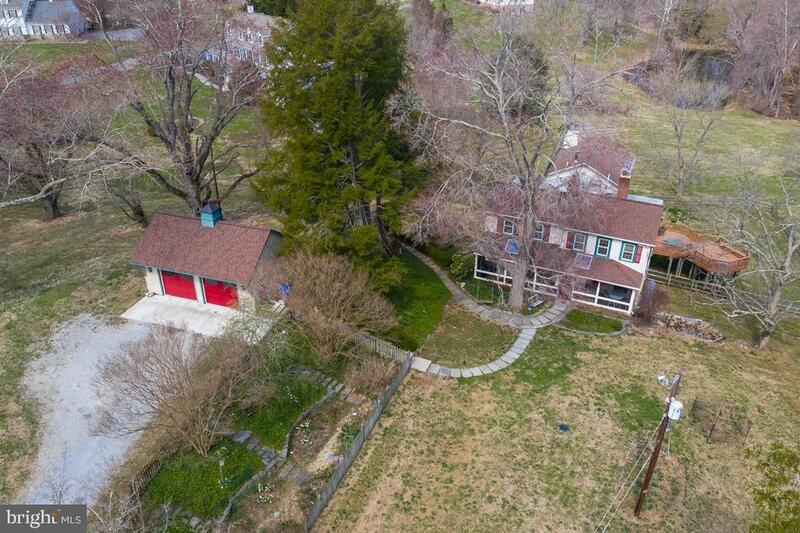 HUGE 2.3 Acre Lot backs to Muddy Branch Park and is Minutes to the C&O Canal Trail/Park on the Potomac. Close to Traville Village Center, I-270 & River Road. Best MOCO County Schools. This is a Must See!!" "NEW on Market! A perfect 10! 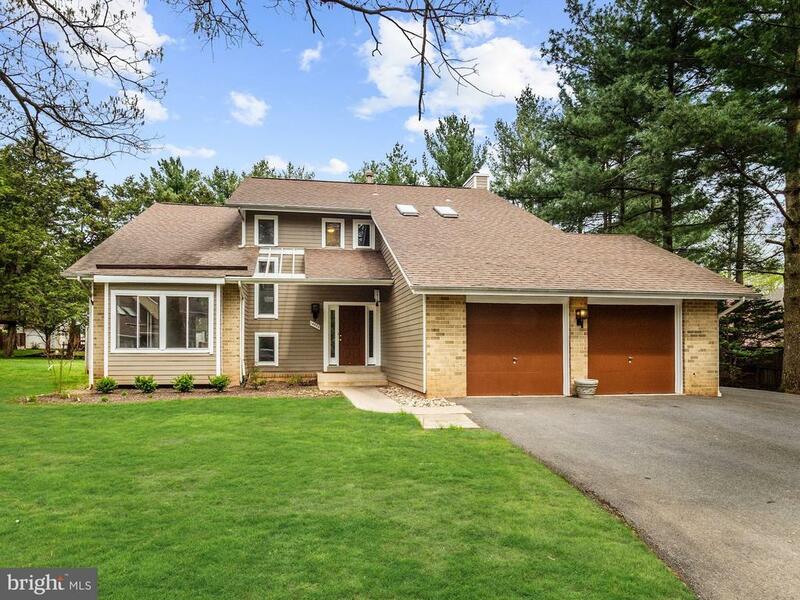 Sun-filled, customized Winchester home on gorgeous premium lot with private backyard. Main level with open floor plan, built in speakers and hardwoods throughout. Two-story grand entry way, private office with custom built-in book shelves and large sunroom with treed views. 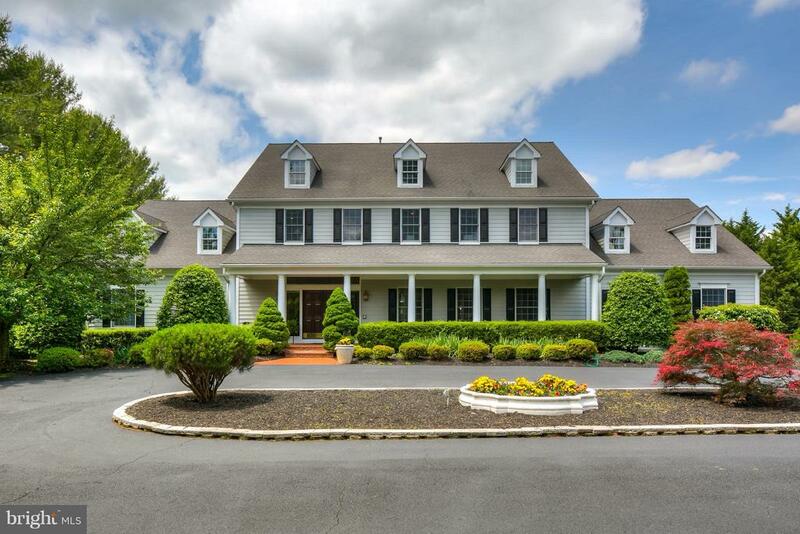 Gracious sized formal living & dining rooms perfect for entertaining large or small parties. Gourmet chef's kitchen with separate breakfast area open to two-story family room with dramatic floor to ceiling stone fireplace. French doors lead to magnificent outdoor entertaining space. Spacious upper level with expansive Owner's Bedroom Suite includes sitting area, gas fireplace, newly remodeled gorgeous bath and huge walk in closets. Three additional generous sized bedrooms plus two more full baths complete this level. Enjoy movies, game nights, exercise or socializing in the completely finished walk-up lower level which includes a wet bar, huge recreation area, exercise room and an additional office/bonus room, full bath plus tons of storage. The private backyard with expansive flagstone patio, planters, built-in bar/grilling area and level yard, make for hours of outdoor fun! Lawn and landscaping professionally landscaped and maintained. Minutes to shopping, dining & easy access to I270/I370/ICC(200). Meticulously maintained and not to be missed!" "NEW on Market! 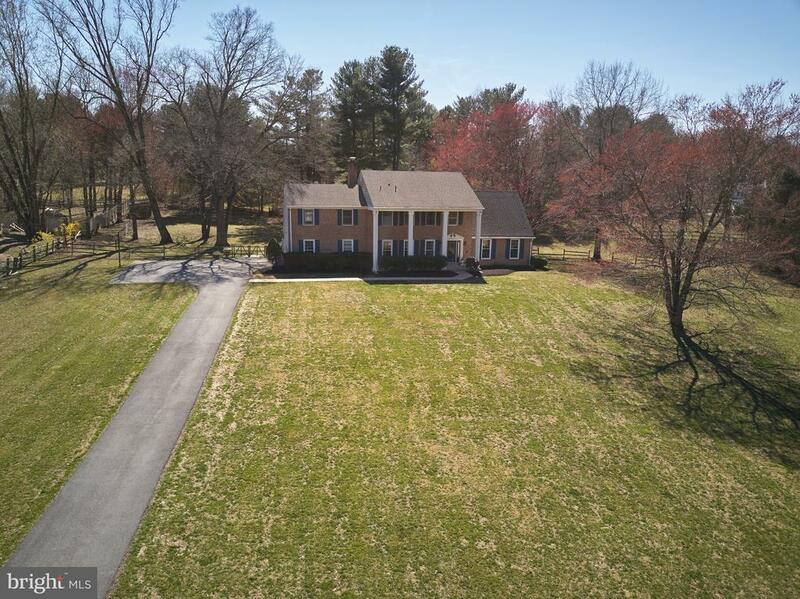 Sun-filled, fantastic home in Belvedere with NEW ROOF on spectacular 3.12 acres loaded w/upgrades including gated entrance, whole house GENERATOR, newly painted, 4 fireplaces, hardwood floors on all levels plus custom built-ins. Main level with gracious sized living & dining rooms, gourmet kitchen open to breakfast room with skylights and stunning backyard views. Main level also includes a private library w/wet bar, family room with floor-to ceiling stone fireplace and double glass doors to flagstone patio & yard. Expansive upper level includes a luxurious Owner's Suite with wood burning fireplace, separate vanity area, two walk-in closets, separate shower and Jacuzzi tub. A separate wing hosts upper landing homework/reading area and three large additional bedrooms; two with en-suite baths and one hall bath. The newly finished lower level walk-up is complete with gas fireplace, large game and recreation rooms & full bath with steam shower. Laundry on all 3 levels! Sensational backyard filled with specimen trees & separate vegetable garden. Circular drive w/3 car side loading oversized garage. Truly a special home - must see!" "Light filled open concept floorplan on 1+ acre rolling lot with views of protected green space. Beautiful tree-lined private driveway with lighted brick columns and black 3 rail ranch rail fencing. Sprawling interior features hardwood floors, two story foyer and family room with oversized two story palladin style window. Large gourmet center island kitchen with 42 maple cabinets and granite counter-tops, sun filled morning room with access to rear deck. Beautiful formal living and dining rooms with custom window treatments and moldings. Stately study with custom moldings and plantation shutters, solarium 10ft+ ceilings. Expansive master bedroom sitting room and custom designed spa bath with fully enclosed seamless glass shower and double furniture grade carrara marble vanities as well as oversized walk-in closet with built in wall safe. Guest suite with full bath ,walk-in closet and plantation shutters. Secondary bedrooms with plantation shutter and access to hallway full bath. Finished walk-out lower level with rec-room and home fitness room, offers option for 5th bedroom and full bath as well as secure storage room. Private rear yard with large maintenance free deck with low voltage ascent lighting, playground and numerous flowering trees. Enjoy the feeling of an elegant country oasis just a short drive to grocery, shopping dining, Metro, I-270, I-300 and River Road! Just 5 minutes to fantastic Darnestown Swim and Racquet Club for all your summer activities! Visit and fall in love!" "ONE-OF-A-KIND TREASURE WITH SPECIAL TOUCHES & LUXURY UPGRADES THROUGHOUT!This 5BR/4.5BA Stonebridge dream home, built in 1989, with $450,000 of renovation, is located at the top of a quiet cul-de-sac just a block to Stone Mill Elementary School, and is overflowing with charm and character. With new roof, new windows, 9 foot ceilings and bamboo wood floors throughout, all 5,600+ square feet of living effortlessly combines style and functionality to create the perfect place to enjoy life! 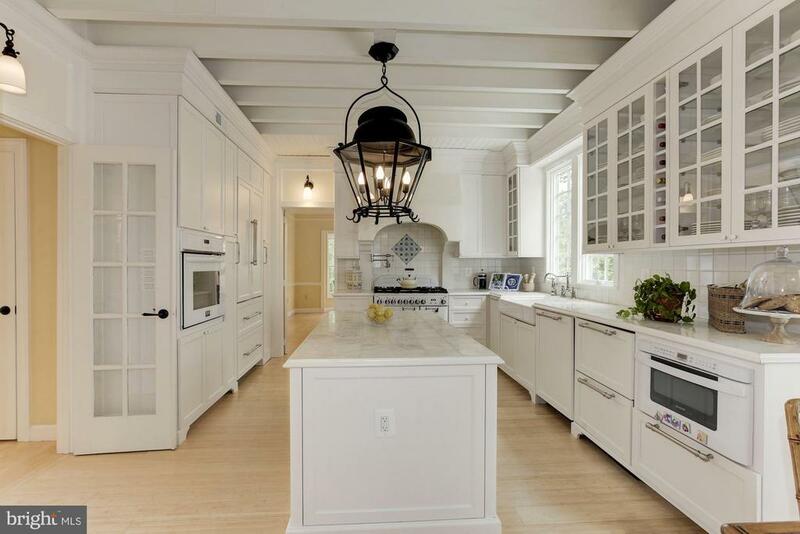 Amazing renovated Kitchen custom built for a chef with AGA cast iron range. Spectacular rear oasis with huge deck & gazebo for outdoor dining steps down to big backyard with a covered bar, porch swings & more - accessed from Sunroom or the finished walkout lower level Recreation Room plus the 5th bedroom. The WOW factor here is off the charts!!" "QUALITY BUILT BY MITCHELL, BEST & VISNIC! ENTERTAIN IN GRAND STYLE AROUND THE CUSTOM STONE FIRE PIT & BRICK PAVER PATIO! RELAX & ENJOY COCKTAILS ON THE MAGNIFICANT SCREENED PORCH OR AZEK SUN DECK! THIS LOVELY HOME IS LOCATED ON A PERFECTLY PRIVATE 1 ACRE HOME SITE AND REALLY HAS IT ALL INCLUDING UPDATED KITCHEN & BATHS, FINISHED WALKOUT LOWER LEVEL w/AU PAIR SUITE & MORE!" 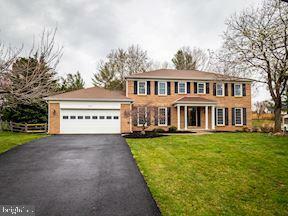 "Gorgeous 4 Bedroom, 3.5 bath Modern Colonial Home in Amberlea Farm. 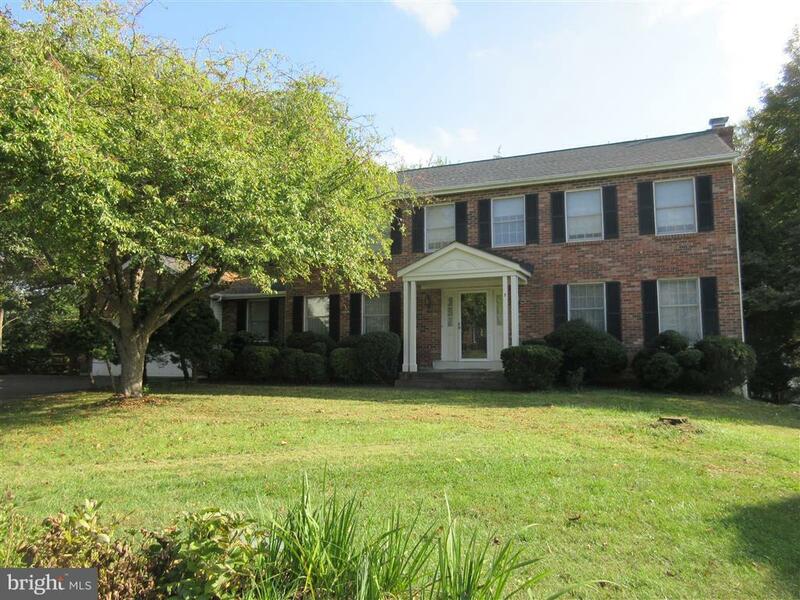 This home features New carpet upstairs and wood floors on the main level. Granite and Stainless Steel/Black Gourmet Kitchen with island. Formal Living room and Dining Room. Two story Foyer and rear staircase from the two story Great Room. Work from the large private office off the Foyer. Enjoy morning coffee or a Family Dinner on the private rear deck. The daylight basement has a large amusement area with a lovely Wet Bar,2 additional Sleeping rooms and a full Bath. An open TV room and Wine room complete the basement.Two Car side load Garage and large rear Deck. Don't miss out on the opportunity to call this your HOME. Amberlea farm is in view with horses"
"Absolutely gorgeous home located on a quiet cul-de-sac in the sought after community of Barrington. Stunning remodeled kitchen with granite counters, upgraded SS appliances, tile backsplash and custom cabinetry. Formal living and dining rooms with walk-in bay windows. Two story foyer. Cozy family room with wood burning brick fireplace. Wonderful master suite with soaring vaulted ceiling, walk-in closets with custom built-ins and cedar lining. Gorgeous remodeled master bath with large soaking tub, seperate walk-in shower, makeup vanity with chair and vaulted ceiling. Large family sized bedrooms with closet organizers. Fully finished English basement with lots of light and level walkout. Recreation room, bonus room, full bath and lots of storage with built-ins and multiple workbenches. Convenient first floor laundry room with built-ins. Huge storage loft in oversized garage. Freshly stained, large two level deck. Private fenced back yard. Refinished hardwood floors throughout main level. Fresh paint. New carpet. New light fixtures. Upstairs heatpump 1 year old. Outside AC units are 8 years old and 1 year old. Hot water heater 1 year old. Cedar roof 2 years old. 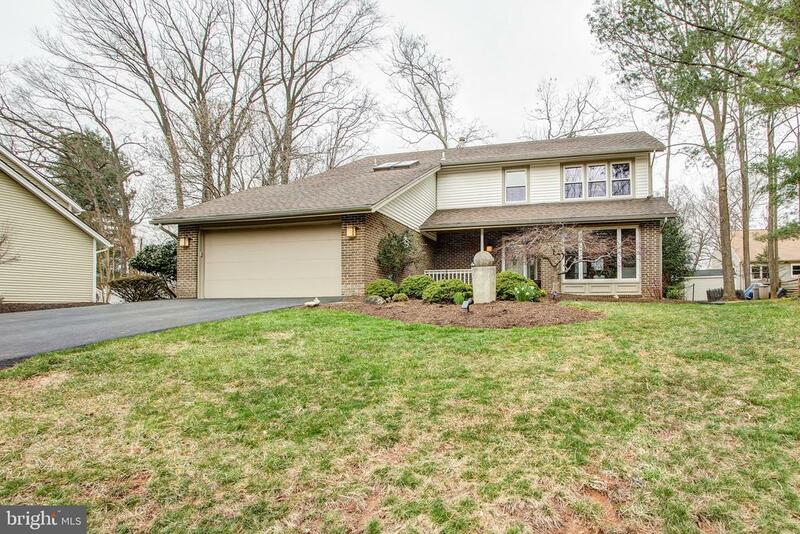 Located in the top rated Wootton school district and walking distance to Stone Mill ES. Truly an amazing property, impeccably maintained and ready for the next family. A 10+! Hurry, won't last!" 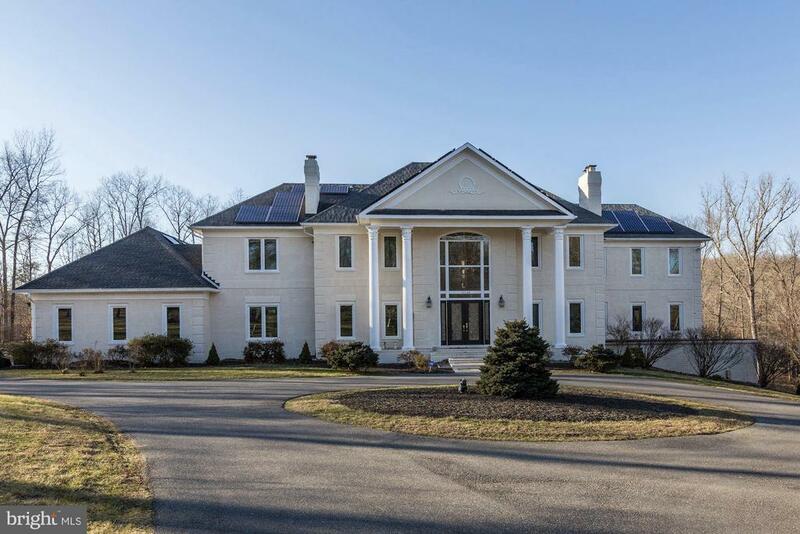 "Private Estate Living Nestled on 2 Serene Acres with Heated Pool, Community Hiking, Riding and Horse Trails in Sought After Wootton HS District. Spacious 4 Bedroom with optional Private Entrance 5th Bdrm Au Pair/In-Law Suite on Main Level Currently used as Game Room. Main Lvl Offers Updated Eat-In Kit w/Granite & SS App, LR & FR with Vaulted Ceilings, Open Floor Plan Family Rm w/Stone Wood Burning FP, 4-Seasons Sunroom, Office w/Custom Built-Ins & Laundry. Spacious MBR/Sitting Rm w/Dual Closets, Finished LL has Theater/Rec Room. Easy Access to River Rd, ICC, 270, and 495. Sq/Ft is > stated tax record. Everything You Need and More!" "The original farmhouse was built in 1880. There have been two additions since. This home is a nature lovers paradise. 6 acres with a stream and a pond but close to amenities. 5 bedrooms, 3.5 baths. Two large living rooms, light filled walk out rec room and an office provide space for everyone. A formal dining room with a fireplace and sliding glass doors leads to a large two level deck. Master bedroom with a sitting area attached, fireplace, and master bath with a soaking tub and separate shower. 6 zone heat and 3 zone A/C and a whole house generator. A newly built two car garage, a smoke house and 2 sheds to hold all your things. This is a home that must be seen to be appreciated. Come check out this home and then sit on the deck and enjoy the beautiful view and peace and quiet. 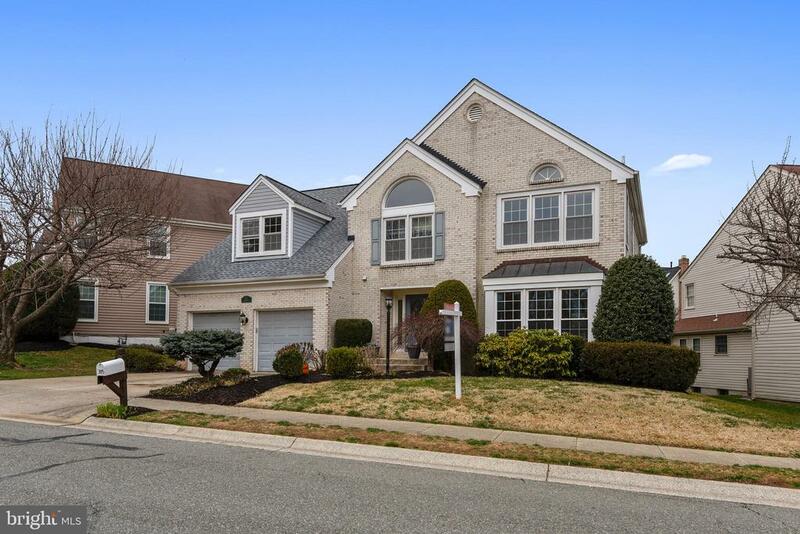 Check out the video"
"Gorgeous, sunny NV Kingsmill w/soaring ceilings, updated kitchen w/granite & stainless,heating system 2016, hot water heater 2017, AC system 2018 main level office, HW floors, 3 full baths up, fresh paint, fabulous finished LL feels like an English pub w/custom bar, pool table, state of the art theater room + rec room, relaxing deck w/access to beautifully landscaped backyard and garden, great closets, storage & MORE! Good School." "A STONEBRIDGE SHOWCASE ON A QUIET CUL-DE-SAC! Featuring 2,908 sq ft above grade with a fantastic expanded family room opening up to the breakfast room with walls of windows, and many updates including gleaming hardwood floors and a gorgeous updated Kitchen, this colonial boasts light-filled windows, 5 bedrooms and 3.5 bathrooms and great entertaining options, all on 3 finished levels with total 3,968 finished square feet of luxury living space.This home welcomes you in with a gracious 2-story Foyer and hardwood floors throughout the entertaining spaces and beautiful crown molding. Major renovations at this stunning home were done in the last 5 years and encompass a total Kitchen refresh with granite countertops, stainless steel appliances and lovely cabinetry. The Family Room was expanded and the Breakfast Room was opened up with walls of windows and a sliding glass door to the huge wraparound deck. Step down from the Kitchen to the Family Room with a cozy fireplace flanked by large, sunny windows. On the upper level, the Master Suite comes complete with a vaulted ceiling, walk-in closet and an updated bath with 2 new vanities, and an oversized soaking tub, plus separate shower. Three additional bedrooms, a full bath in the hall and a separate laundry room with loading washer & dryer are also on this level. The carpeting throughout the upper floor was replaced in 2015, as were all the windows in the house!The finished lower level Recreation Room has already been wired for a home theater and is a great place to relax or hang out with friends, boasting built-in speakers and plenty of space to enjoy. There is also an Ensuite 5th bedroom with a walk-in closet, and a convenient storage room on this level.With its stunning exterior, flagstone walkway and expansive wraparound deck, this home is wonderful both inside & out ~ all located in the sought-after Wootton school district!" 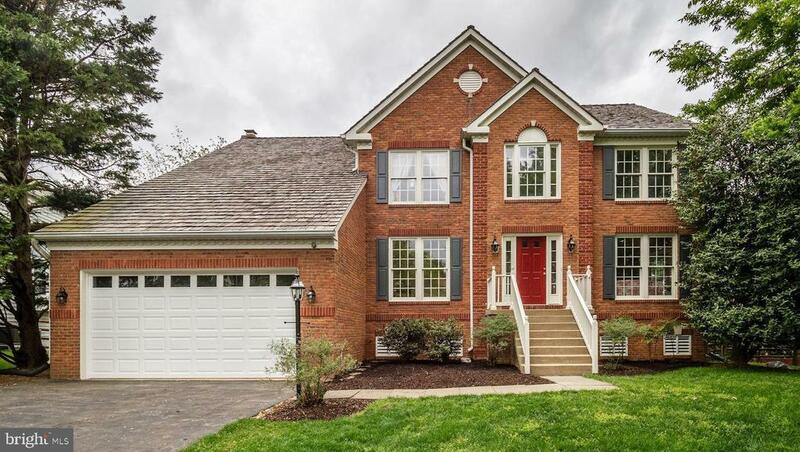 "Stunning Single Family Home In Quiet Cul-De-Sac In Flints Grove - Conveniently Close To Downtown Kentlands, I-270, Shady Grove Metro Station, Washingtonian, Shopping, Dining & Entertainment. This Home Features 5 BD, 3.5 Baths, Two Story Family Room With Stone Hearth Fireplace & Built-Ins, Hardwood Flooring, Gourmet Kitchen With Granite, SS Appliances, Spacious Island, Breakfast Area, Formal Living Room & Formal Dining Room And Cathedral Ceilings. The Lower Level Has A Spacious Recreational Room, Bedroom, Full Bath And Walk Out to Rear Yard. The Rear Yard Features Beautiful And Luscious Landscaping, Stone Patio,Deck And Views Of Creek and woods in a cul de sac"
"Beautiful colonial home in a serene cul-de-sac with a oversized lot of 15,000 square feet with lots of trees and privacy. First floor features a dining room, living room, family room, kitchen, laundry and an extra bonus bedroom/office. The deck and a covered porch overlooks a wide open green field in the backyard. 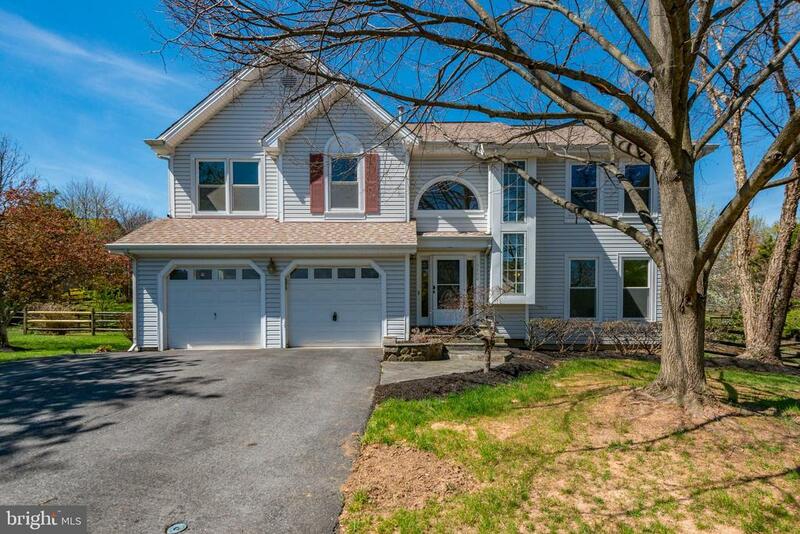 Large brightly lit master bedroom and 3 other bedrooms upstairs with 2 full bathroom"
"Stunning ~Turn Key Condition~ 4 Bedroom Home with 2 Car Front Entry Garage in Potomac Crossing! Hardwood Floors throughout the main level. Renovated Kitchen with Breakfast Bar, granite countertops, and stainless-steel appliances. Fabulous sun-drenched vaulted ceiling Great Room Extension with a Fireplace opens to a deck and amazing 1/3 acre lot!! Bring on summer entertaining with great space inside and out! Gorgeous Master Suite with a renovated spa bath! 2nd level has all new carpet and a second renovated full bath. Bright spacious rooms in immaculate condition!! Wootton High School District!" 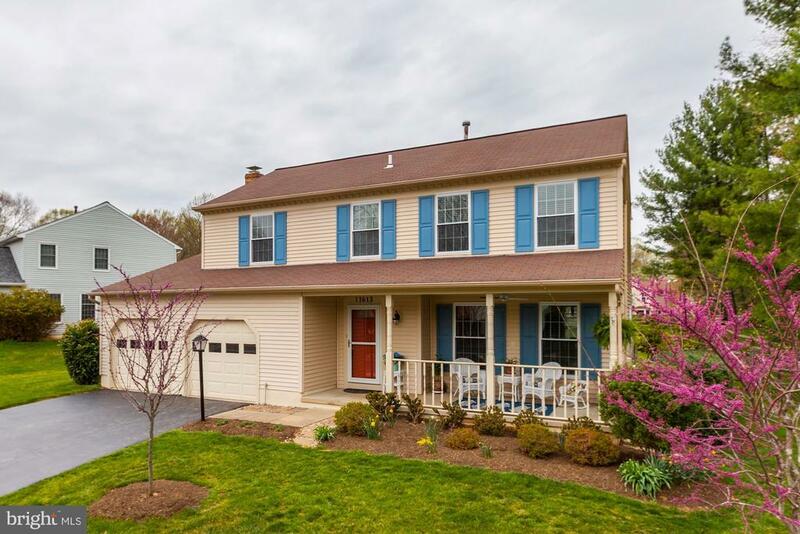 "Meticulously maintained - thoughtfully updated- so much room inside and out- Five bedroom 3.5 bath colonial with updated kitchen and baths- inviting family room relaxing sunroom/porch- fully finished lower level with legal bedroom suite- custom built-ins fresh paint sparkling clean- move-in ready- this is the one you are waiting for!!" "Reduced!! Over $20K recently invested in this house too prepare it for sale for your buyer! Q.O. 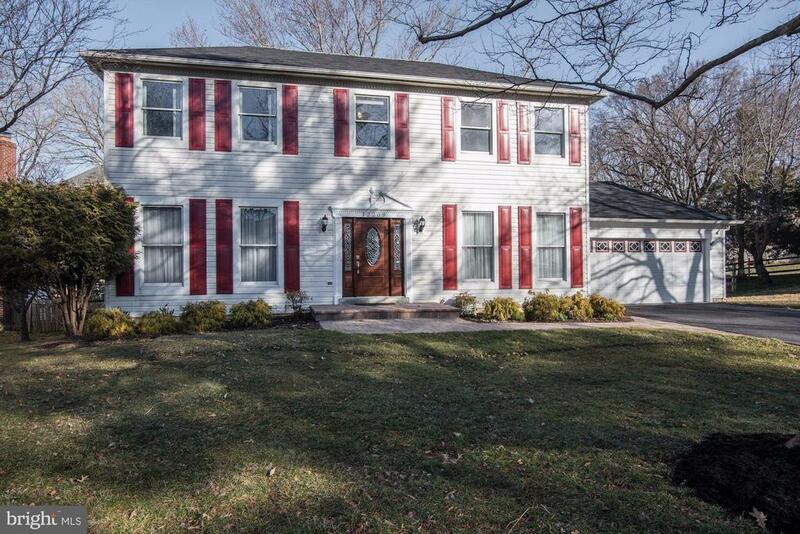 HS -- Wonderfully updated and well-maintained Contemporary Center Hall Colonial featuring 4 Beds + Den & 3.5 Baths in North Potomac - Washingtonian Woods. Largest Christopher Homes model! Recent updates include: Fresh Paint, New Lighting Fixtures, New Chimney Cap, Updated Master Bath with New Seamless Glass Enclosure, New Brushed Nickel Faucets, Newer Energy Efficient Windows, Skylights, Hardwood Flooring on main and upper level, some carpet, New Backsplash & Tile in Kitchen, Deck off Family Room, great for Relaxing and Grilling. Open and airy floor plan with kitchen centered around living, dining and family rooms. Upper level hallway open to below with natural light pouring in from all angles! Fully finished basement with den, full bath, rec room and great storage. Beautiful landscaping and serenity on this quiet street. Close to METRO, major commuter routes, RIO, CROWN, KING FARM, & KENTLANDS shopping & retail + Whole Foods. 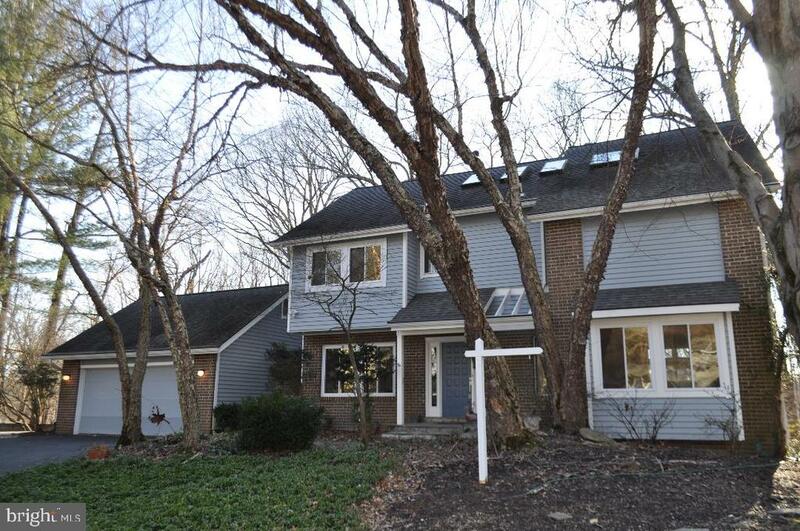 Beautiful Washingtonian Woods Community features great Pool, Clubhouse, Tot Lot & Walking Trails!" "PRICE ADJUSTMENT! Previous Model Home on corner lot; large side yard. Capture the luxury and impeccable ambiance of true living, situated perfectly in the heart of North Potomac. This recently appraised property has at least $50k in equity, which is a great feature when moving into your new home. Generous space allows room for entertaining family and friends without losing the comfort of a cozy home. The main level boasts gleaming refinished hardwood floors which merge into the stunning sunroom overlooking the private patio/deck. The accent of the crown molding and chair railing throughout define the attention to detail you seek that flows seamlessly into the family room with a custom stone fireplace. Turn the library into a main level bedroom or den or whatever fits your needs. The owners' suite feels like your own private oasis to block out the world and divulge in serenity and peace. Pamper yourself in the large soaking jacuzzi tub or the glass enclosed shower within the owners' suite. The warmth from 1 of 3 fireplaces and the abundance of natural light are well deserved highlights which brings life to whoever chooses to live here. There are loads of closet space, shelving units, sitting room and private storage space that accommodate items for all seasons. Take advantage of high-end low maintenance outdoor living. Spend some quality time creating delectable meals in the newly designed kitchen with wet bar. The lower level is large enough to produce a game room, exercise room, movie theatre, bar and more. The roof and HVAC are new to meet your standards. Convenient low maintenance back and side yards that provide just enough space for a pool and/or outdoor games. 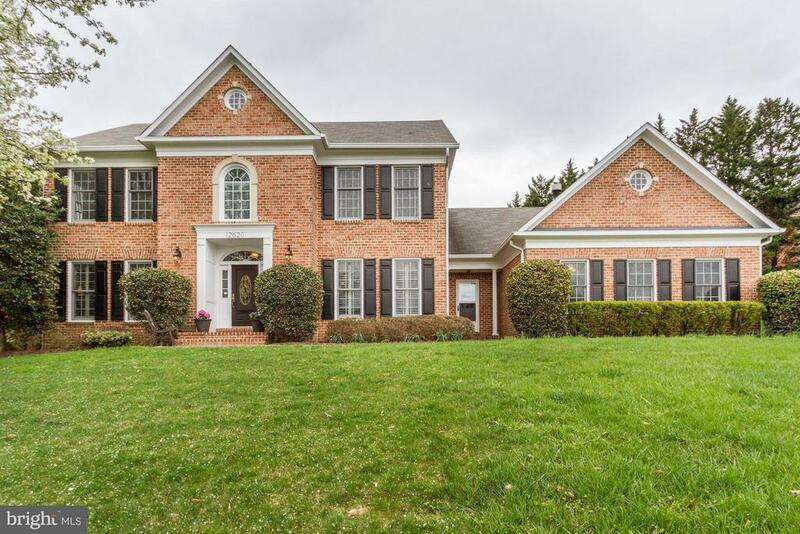 Enjoy this highly desirable school district minutes from Lakewood Country Club, the Shops at Potomac Valley, multiple fitness level health clubs, fine dining, dog walking parks, community walking paths, major highways and so much more! This home is a MUST SEE TODAY for qualified discerning buyers because"
"Welcome home to move in living, the professional paint job is still drying! 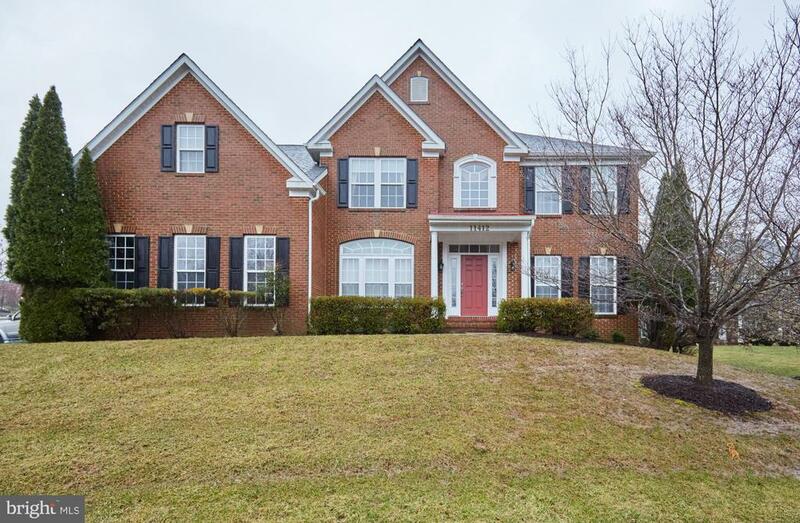 Sweet contemporary colonial in sought after Dufief subdivision. Brand new foyer floor, freshly renovated hardwoods on the main level, gourmet style skylit kitchen with brand new granite countertops, ceramic tile floors, brand new double oven, and dishwasher: an updated powder room and hall bathroom, new doors and several new windows. Enjoy your glass of wine on the screened in patio overlooking a freshly stained deck and enjoy cookouts and smores in your built-in firepit with a gas line grill situated on half an acre. Fully finished basement with a bonus room and full bathroom, ideal for in-law or au pair. 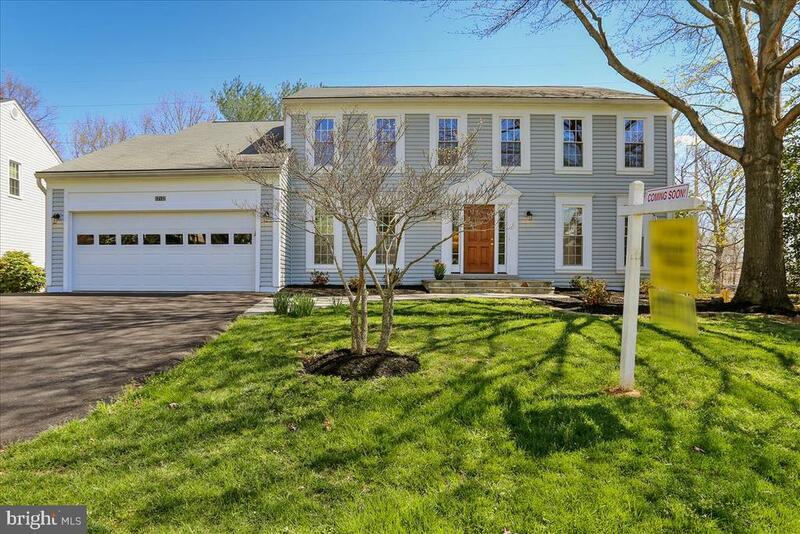 Located in DUFIEF ES, FROST MS & Wootton HS district and pleasantly situated on a private cul-de-sac." "Stunning single family in desirable Flints Grove Community! Situated on a lushly landscaped lot this home features 4 bedrooms and 2.5 bathrooms with attached garage. 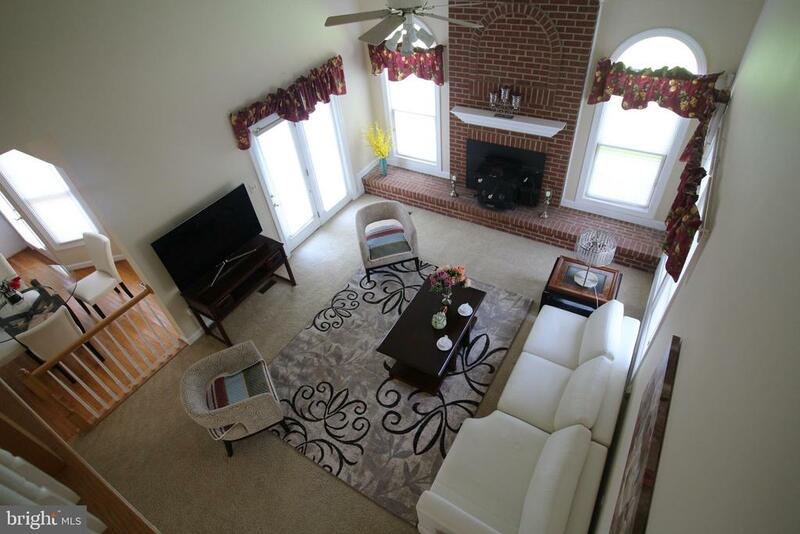 The main level has formal living and dining rooms with gleaming hardwood floors. Spacious eat-in kitchen with granite counters, stainless steel appliances, and plenty of storage space. Kitchen overlooks the cozy family room with wood burning fireplace and direct access to back yard and patio perfect for entertaining! The upper level features 4 bedrooms and 2 bathrooms. The master bedroom features large walk-in closet and gorgeous master ensuite with tile shower, double sinks and soaker tub! Conveniently located minutes to I-270, ICC, and public transit. Close to shopping and restaurants. Feeds to Thomas Wootton High School! Don't forget to check out the 3D Tour of this home!" "Open Sun (4/14) 1-4 p.m. Move in ready! 5 Generous bedrooms on upper level with fresh paint and carpet, 2 renovated baths, tons of closet space. Main level with table space kitchen opening to a deck that flows into the screened porch with skylights and back into the cozy family room. Hardwood floors in foyer, formal dining room and living room with attached den providing lots of space for entertaining or getting away from it all. Huge unfinished walkout lower level with rough-in for bath - for storage space, hobby area, or whatever you dream. The rear yard provides lots of privacy and access to hiking/biking path." "Lovely and updated colonial on a quiet cul de sac street. Move in condition. Great neighborhood and excellent schools too. Close to everything. About 3440 finished square feet on three levels with 4 bedrooms and 3.5 baths. Rear open floor plan.This is the one you have been waiting for!"